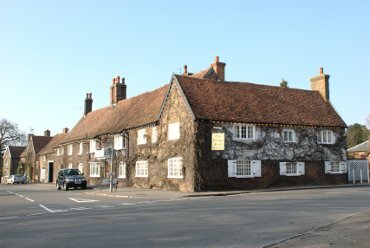 The 15th century Kings Head Inn, on the corner of Church Road opposite the village green, was rebuilt in the 17th century using some of the existing beams and is now run as a restaurant. 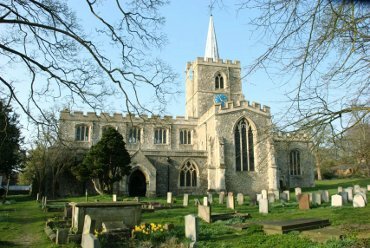 The Church of St. Mary the Virgin dates from the early 13th century and there may have been a wooden Saxon church on the site before that. The North and South doorways both date from the time the church was built and are original. 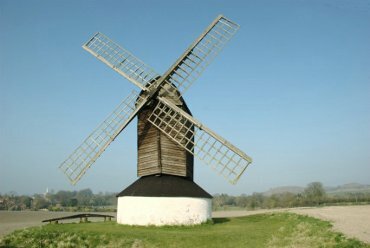 Pitstone Windmill on the outskirts of Ivinghoe has the date 1627 carved into its framework. That would make it the oldest windmill in Britain and, if that date was carved when the mill was repaired, it could be even older. Ivinghoe Beacon can be seen on the horizon on the right edge of the picture and the lower left vane of the mill is pointing at Ivinghoe Church . 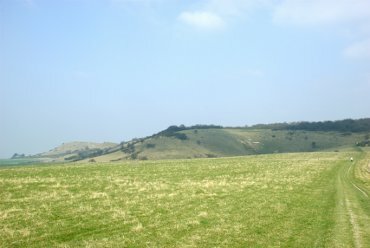 Ivinghoe Beacon, the hill on the extreme left in the far distance, is part of the Chiltern Hills or 'Chilterns' for short. This view is near Ivinghoe on the Aldbury Road.